At the 2015 Detroit Auto Show Porsche once again proved its benchmark by unveiling the Porsche Cayenne Turbo S 2016. Since its debut in 2002 the Cayenne has been well recognized as a quality high performance automotive. With this very release eyes were noticed gleaming with excitement to know, the benchmarks Porsche will be creating. Let us scroll down and get to know Cayenne Turbo S 2016 little better though its interior, exterior and Performance. Entire interior of Porsche Cayenne Turbo S 2016 is an unmatched amalgamated work of, leather, aluminum, alcantara and wood. The Choice comes with another choice; being precise we are talking here about the seats. Buyers now have an option to go for either sport seats or flat comfortable seats and further this gets another option of getting the seats ventilated by dragging out a few more notes from your pocket. All features are just a tap away from the driver, looking at center console looks like a city decorated with massive buildings. Porsche Cayenne Turbo S gets in addition to satisfaction features like, adaptive cruise control, lane change assist and lane departure warning. With the passing time and going through several models presented by Porsche, the expectations too kept on increasing. This time with Porsche Cayenne Turbo S 2016 release, Porsche proved its intentions for coming sector by taking a step ahead. The most attractive and aggressive instance adding to interior are the wide 21” wheels. The wide rollers very well cover the fenders and thus present a ‘bulky hulk’ look. 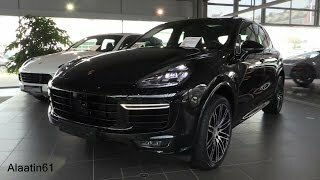 Headlights are equipped with Porsche Dynamic Light System Plus offering the best by adjusting to intensity and range, depending upon the terrain you are riding Porsche Cayenne Turbo S 2016. The model comes presenting options for its buyers like the panorama roof system and stainless steel skid plates. 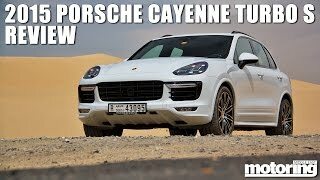 Porsche Cayenne Turbo S 2016 is powered by a 4.8 liter V8 engine that can produce a whooping power of 570 hp and producing 800 nm torque mated to an 8-speed Tiptronic S transmission. 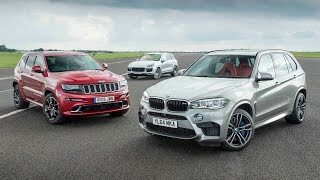 The engine comes with four wheel drive mechanism and takes the Porsche Cayenne Turbo S to a top speed of 176 mph while the 0-100 km h (0-62 mph) sprint gets chased in just 4.1 seconds. 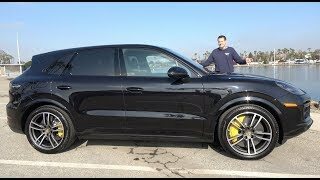 Although there wasn’t any specific need to elaborate the performance segment, as just a line ‘Porsche Cayenne Turbo S 2016 completes a lap of North Loop of Nurburgring in just 7:59:74 minutes’ and this is a record. 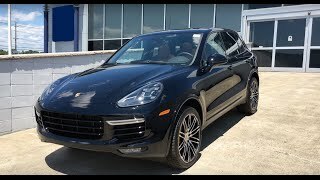 Talking about the price of Porsche Cayenne Turbo S 2016, the model can be brought home for $158,295.